Outside the People’s Republic, very little is known about China, yet there seems to be immense curiosity. It was with this same curiosity, mixed in with an expat lifestyle and family history with roots in China that I embarked on my MBA. Almost all of you reading this will have heard the stories. The tales of the unimaginable pace of change taking place around you, should you venture to China. Those who have witnessed China first hand will know that you are witnessing something truly extraordinary. Many of you will be considering applying to some of the world’s top MBA programs either this year or next, and perhaps, some of you may even be considering studies in Asia. What follows is my own account of the first term of my MBA at China Europe International Business School (CEIBS), a top-10 MBA program based in Shanghai. When you enter the MBA program here at CEIBS, or probably any MBA program, you will be told of the horrors that the first six months (or terms one and two here) will bring. The sleepless nights, the endless cases and the fierce competition. My experience at CEIBS has been somewhat different. Yes of course, it is hectic and the schedule demands much of the student. I have found, however that the stress does not owe much to the difficulty of the coursework, but rather to your own time management. This is not to say that the courses are not difficult and nor is it to say that I found the courses any easier than most students did. But what makes an MBA difficult is not knowing how to manage your time. A typical day for me will start at 06:00, earlier if I can help it. This is because any time before 09:00, there is absolute silence on the emails and WeChat (think WhatsApp, but much more powerful. You cannot survive in China without WeChat), which means time to get work done or prepare for the day. From 07:00 to 08:30, I have Chinese with my private tutor, thrice per week. I’ll talk more about Chinese language further down. Classes will typically kick off at 09:00 and finish at 15:30. From 15:30 to God knows when, there will be a number of networking sessions, career development workshops and most (or least, depending on how you manage it) time consuming of all, group meetings. Bedtime for me is around 23:00, for others it’s any time before 03:00. ‘Oh wait! I still need to study for that quiz tomorrow, read three cases, and touch up that PowerPoint.’ You get the idea. Where the expectation of term one is that of highly charged classes with 780-800 level GMAT coursework, the reality is that the REAL challenge with MBAs is time management. As a foreigner, the most valuable skill one gains from coming to CEIBS (no, it’s not LBO modelling) is understanding how to work in all-Chinese teams. Since China is poised to one day become the world’s most powerful economy, understanding China, its people, and what makes them tick, will be of immeasurable value to aspiring global business leader. Where CEIBS is completely different from other b-schools is that during MBA group work (basically 80% of term one and two assessment is done in groups of five), one or two foreigners will be placed in a team with two to three Chinese nationals. This is done deliberately, and is done so as to impart the very skills just mentioned. Here’s where the added challenge lies for foreign students. Many of the Western ideals of conflict management, leadership and teamwork are non-applicable in Chinese teams. A results-driven, no nonsense go-getter will need to give due consideration to the deepest of meaning behind each piece of assessment, which may be time consuming. He/she will need to be acutely aware of the emotion and feelings of each group member and must work hard to ensure that in all encounters, members are left with face intact—particularly when your teammates do not always speak English as well as you. For some, this will be easy and highly rewarding. For others, it could mean four to five-hour group meetings and lines in the sand. 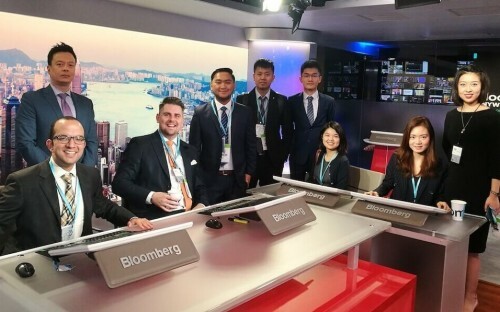 However you cut it, moving to China and attending CEIBS has been a highly rewarding and equally challenging endeavour, but not at all for any of the reasons I expected. As China rises, foreigners at CEIBS play the long game and position themselves ideally for success as future global business leaders. All I can say at this point is that I cannot wait to see what I learn next. Patrick Harris's career spans four continents and has been focused primarily on Drilling Engineering and, most recently, Private Equity with a China focus. Patrick is currently undertaking his MBA at China Europe International Business School (CEIBS). He holds a Master of Science (Petroleum Engineering) from the University of Stavanger, and a Bachelor of Engineering (Petroleum Engineering) from the University of New South Wales. Patrick has lived in eight countries and visited over 60. Patrick has volunteered extensively with autistic children and displaced people, both at home and abroad. He is fluent in all three Scandinavian languages and speaks conversational Arabic and Mandarin.